I've walked with a parade of characters over the last nine years. It started with dressing a three-month-old monkey and expanded to the major players in the Star Wars franchise. Halloween has been a fun holiday as a parent, and one of the best parts has been *ahem* influencing costume choices. I know such power ends at a certain age, so I enjoyed myself during the early years. It's Halloween Eve and while you're taking a break from preparing outfits for your own ghouls and boys, I thought we'd take a trip down memory lane. I'm here with a Bauer Top Five: Halloween Costume Edition. 5) I couldn't help but remember when Nathan commanded that the the wild rumpus start. 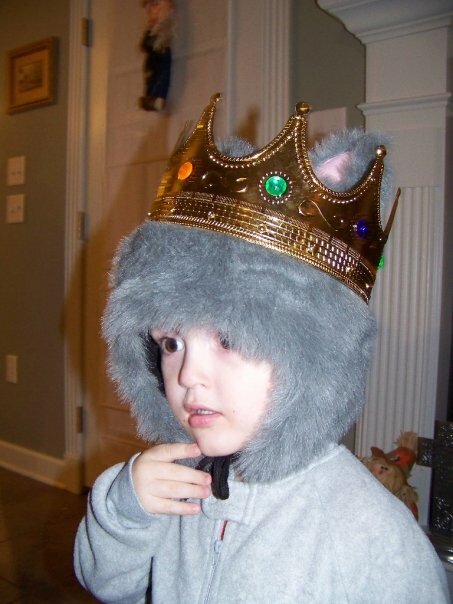 In 2009 Nathan knew "Where the Wild Things Are" cover to cover and he had to be Max for Halloween. This DIY masterpiece included over-sized footie pajamas, a plastic crown, and a fur hat that absolutely came from Spencer's. 4 + 3) I understand that using one photo for two costumes is probably cheating, but I make the rules here. These two are like peanut butter and jelly, pumpkin and pie, light side and dark side. 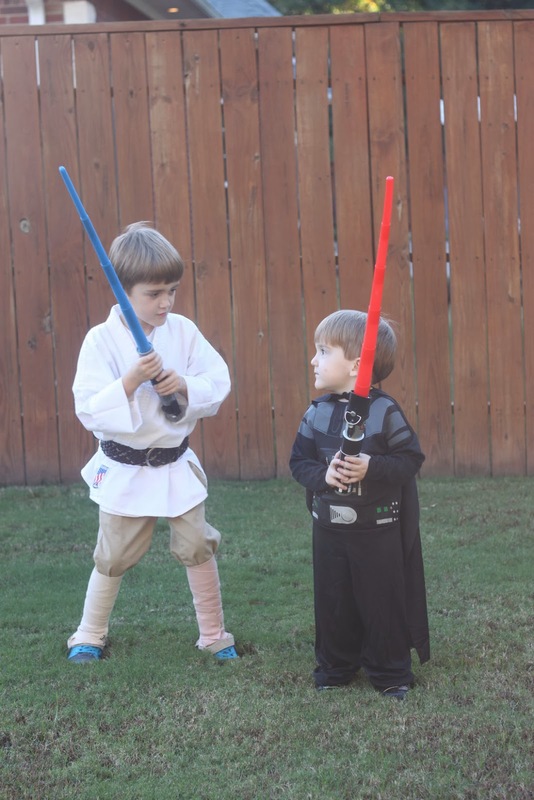 Darth Vader and Luke Skywalker made for some adorable battle scenes in 2012. Also, Nathan's Ace bandage boots were on point. 2) Nora's Halloween debut was Leia to Nathan's Luke, but she stole the show last year as Wonder Woman. 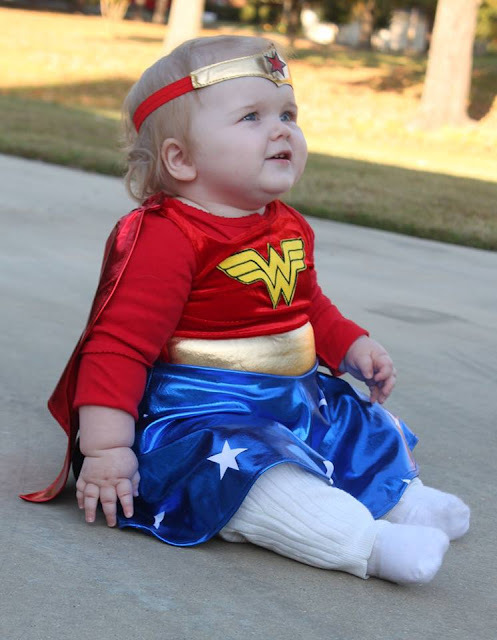 She ate her candy at lightning speed, stole the hearts of all who opened their door, and traded her invisible jet for a visible stroller. We know who holds the power in our trick-or-treating trio. 1) You knew it would be the carrot. 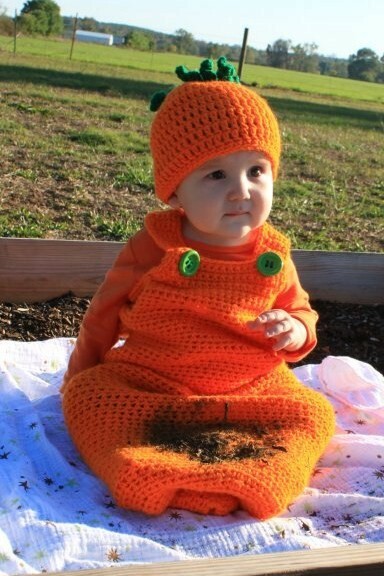 There was no doubt in your mind that Number One would be Owen dressed as a carrot. Paired with an overalls-sporting big brother, this little veggie was a hit in 2011. It was a bumper crop that resulted in pictures that will come back to haunt him for years.